Earn 68 points to spend on future purchases. The Aloha Nasal Pillows CPAP & BiPAP Mask is extremely lightweight and quiet. Its wide-set headgear design minimizes facial contact while angled exhalation ports reduce sleep disruption from expelled air during sleep. The Aloha's ball-and-swivel elbow joint eliminates torque and pull to provide freedom of movement during sleep -- even for the most active sleepers. Because the swivel is free to move in any direction Aloha's Hi-Flex Tubing tubing can be routed over the head, two the side, or down the chest during sleep. In addition the swivel action reduces potential tugs and snags which can be disturbing to sleep. One of the most remarkable features of the Aloha CPAP Mask is that it allows end users to adjust both the depth and angle of nasal pillows. Each Aloha user can adjust the pillows to a custom position for a better, more custom fit every time! Aloha's headgear is made of soft, pliable, and breathable materials. The wide-set headgear design reduces points of contact on the face and eliminates interference with the eyes and line of site. 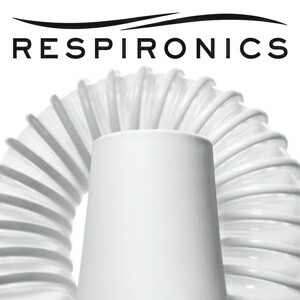 Read, watch TV, or just enjoy the evening without having to look around your CPAP mask. The Aloha CPAP Mask's angled exhalation ports minimize noise and exhaust disruption for users and bed partners so everyone can get a good night's sleep. I’m really happy with this mask. It was easy to assemble and fits very well. I can sleep on my side and have no leak issues whatsoever. It is comfortable and lightweight and I like that the tubing goes over the top of my head and stays out of the way better than my previous masks. The only thing i would change is the strap that goes around the back of the head. I wish it fit lower on the head - it sometimes slides up since it fits so high. Still, I highly recommend this mask. Service was great but not happy with mask. I am looking at sending it back as it does not fit like my old one. How do I go about returning it? DHM Notes: Hello, We're sorry the Aloha hasn't worked out the way you had hoped. If you'd like to return it within our 30-Day Money Back Guarantee window just return the complete mask, along with a note of your original order number, to the offices address noted on your invoice. Once we've received your return refunds are usually processed in 24-36 hours. Take care! 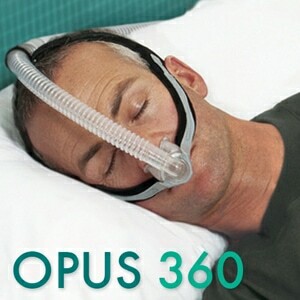 Since I started using a CPAP machine, I have tried five masks. This one is the most comfortable so far. I don't fight the nasal fit all night and get a more restful sleep. Headgear is replaceable. Very comfortable fit. Great for sleeping on your back or side. I love the fit of the headpiece. The nose pillow by the lip is bulky for me. It hits my upper lip and I cannot really adjust it any more than I have it already. The Aloha has proven to be much better than the Airfit P10. While the P10 is initially quite good, the headgear soon stretches and there are no adjustments. The Aloha has adjustments on the back, top, and front. It will last much longer. Although all CPAP masks are grossly overpriced, the Aloha is much cheaper than the P10. I've used the Aloha for several months now and I am very pleased with it. My sister-in-law, who is a respiratory therapist, recommended that I give the nasal pillows cpap mask a try after talking to a co-worker. I've tried a number of different masks and don't like any of them, but if you have to wear one, this one seems the best. For me the others are either too hot (full mask -- on my face), or uncomfortable (the pressure from the nasal mask was painful). The Aloha Nasal Pillows are neither too hot or too terribly uncomfortable. It's something I can live with! Fit more securely comfortable stay in place all night and quiet the reason I give 4 star the last head gear did not last the velcro was not want to stick. I will see how long this will last. overall I like this mask. Though I have to do a little modification to this mask each night before bed, it is definitely the most comfortable so far (this is my 4th). It is very lightweight, comfortable, and doesn't end up giving me wrinkles and bags under my eyes from sitting too close to my eye sockets. I just wish I could wear it all night without any leaking. At least I can work with this one. Nice fit and real comfortable. Not as bulky as the full mask. Hardly notice that I've it on all night. Great product. Best nasal seal I have ever had, works great, the only issue is the head gear is little flimsy, but it work! Love this mask and love your new pricing.I really love, love, love the new pricing. I won't use anything else. It's so comfortable and no leaks. I need to sleep on my stomach! I second Terry C.'s review that it works well but after a while the headgear dislodges from the pillow. This makes it useless for getting a good night's sleep because you have to wake up and push it back in each time it happens. Easy for cleaning but not good overall. I'm sure this would be fine for someone that sleeps on their back. I sleep with my cheek on my pillow, and the Aloha keeps getting pushed to the side. Great vendor. Shipped early received early. As for the mask itself, I like the mask and I think it will be my go to mask. I am still learning how to adjust. I think I am zeroing in on it. I like that I can sleep on my side, thrash around and still keep the mask in place. As an active sleeper, this is the best nasal pillow mask I have been able to find. I really like the over the head design so I do not have to move tubing around while sleeping. Wish the small tube was a little stiffer (kinda like ResMed Swift LT short Tube) because it flops a little around on my head. 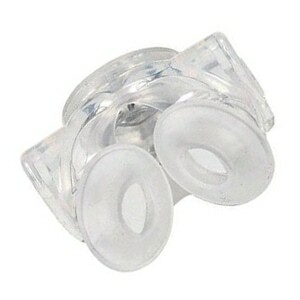 The ball and socket design is by far the very best type of connection between the short tube and the nasal pillows. I can't say enough good things about the ball and socket design. Previously used F&P Opus 360, Pilairo. This is better due to being completely leak fee and a comfortable, low pressure fit. The was some septum irritation, but minor compared to the benefits. CPAP set at 15.5. I found this mask to just be o.k. I liked the soft fabric on the part of the headgear that touches your face but the part inside of it was a little rigid for me as a side sleeper. The part of the pillow that goes in your nose was comfortable but I found the material the pillow was made of to be heavy. You can take the weight off of your lip by putting the air tube over your head in the headgear but if you get up at night I found this to be awkward. I guess I will keep looking thanks to the 30 trial direct home medical offers. If you're a calm sleeper and don't move much, it's a nice mask. If you move around a lot, one side or the other of the headgear frequently becomes dislodged, so the whole thing just falls off your face. Nothing holds it together but friction between a hole in the silicone and a little tab on the headgear. Usable for a while, but not an impressive design. I bought this system and is it great. No more leaks. I recommend this unit. I have tried and tried nasal pillows with horrible results until I found this one! I doesn't hurt my nostrils, it doesn't hurt my face when I sleep on my side and it actually stays put with no leaks. Thank you Direct Home Med!!! LOVE IT! I love the Aloha. I'm on my second and I just went back to it from the last new mask (Nuance Pro by Phillips) that had gel pillows. I need a pillow that's comfortable and doesn't go into the corner of my eyes wile I'm tossing and turning. The Aloha never leaks and seems to be self adjusting as I sleep. Sometimes I have it set with the prongs all the way in when I go to sleep and I wake up 8 or 9 hours later with the pillows still sealed and the prongs at halfway in. I do wish the prongs were beefed up a bit more because when I first bought the mask I was fearful of breaking the prongs, but I'm very rough with the mask and nothing is breakable.I also want to buy extra side padding with velcro because the velcro get's full of lint in the wash. I have to pull all the lint out when I get them out of the dryer. If you do put them in a dryer, remember to pin them together or you'll have a heck of a time trying to find them both.I give it 5 stars and then some. I give the Swift FX with Bella Loops 5 stars, too. I have to confess that they're my wife's Bella loops. So what. Both are great masks for anyone who wants to use a pillow mask and I've tried them all except the Breeze. 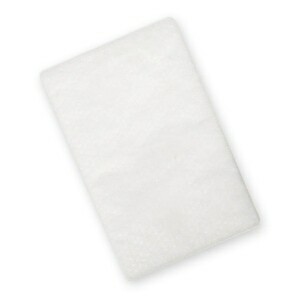 this is the only pillow that does not contribute to nose bleeds. I'm serious. I get nose bleeds at the slightest pressure and couldn't even wear the Swift FX due to the pressure against my nose. I can't wear masks because they all leave marks on my face no matter what.All of them. My sleep doc told me to try the nasal aire but I don't really want anything going up inside my nose, so I found this one. Don't try to make it tight because I don't and I have almost no leak. No matter what, this mask stays sealed and you can roll on you side or into the pillow, it still seals. I'm more than happy. Still trying to get it to fit right. These are comfortable and I love that the hose can be moved so it doesn't drag like my current mask (optilife nasal pillows), but I have yet to get it to fit just right - my head is small and it feels like it moves around alot, so I'm gonna have to mess with it - adjust and see if I can get it to fit better - in the meantime, I keep using my optilife although I really want something that has a 360 degree hose attachment like this mask. I have tried a few nasal pillow masks before, always I felt I was between sizes of pillows, or the headgear hurt my head, or was hard to put together. This headgear is both firm enough to hold its shape and position, and soft enough (due to the included fleece cover) not to leave marks on my face. The ability to change the angle of the pillows makes it perfectly fit to the angle of my nose. It's super comfortable, and also very quiet. It's my favorite mask so far. I've only had one small problem: I seem to get little infections inside the edge of one nostril if I wear the nasal pillows for more than a few nights in a row (like a little zit). So I alternate with my nasal mask (which has its own issues). It helps to have 2 options. Great mask. This is my first and I am very happy with it. Very comfortable and you can roll over with no issues. Head gear does leave a mark on my face for about 1 hour if I sleep on my back and about 2 hours if I sleep on my side but other than that, no complaints. I can tell you after 9 years on CPAP that I'm happy to say someone made the perfect mask. This mask is so light and the adjustment has to be felt to be believed. I'm sure these are the same people that manufactured the Nasal Aire II. I liked the Nasal Aire concept and still do, but this is probably the best mask out there, bar none, and I probably have them all! So glad I could finally order this. The swift fx for her worked alright, but I really love this one. It's so light, quiet, comfy and easy to take on and off. No leaks at all. Finally! I have been using a CPAP for about 6 months now. I have only used two brands of FULL-FACE masks. I decided to try a nasal pillow mask as I did not believe I was a mouth-breather. This mask is light and easy to wear. The instructions are pretty brief and vague. It comes with 3 pillow sizes.... with the medium hooked up by default. I liked the mask and it has almost no leaks. BUT.... it has caused abrasions on my left nostril. I find that this is a common complaint among pillow users and you need to use a non-toxic lubricant. After 3 weeks, it is clear my abrasion will not heal while still using this mask, so I guess I need to go back to the full-face unit until the nose heals. I will return to the pillow mask when I can because it is light and open and WILL use a lubricant. Even though I had to return, great mask! Headgear was light and comfortable, I have very small nasal openings, unfortunately, the small pillow was a bit too big. I've been using the ResMed Swift FX for her with the XS pillows for more than a year with success. I wish they offered a smaller pillow because this was easier to use. I have been using CPAP for over 15 years. I usually purchase a mask yearly and can give accurate comparisons. The latest product is RespCare Aloha Nasal Pillow Mask which comes with 3 size pillows. I use medium. I had the ResMed Swift LT prior and found that the Aloha had several improvements and some drawbacks. First the improvements: Quieter and less leaks than the Swift LT. It appeared that the pressure self adjusted to prevent leaks. 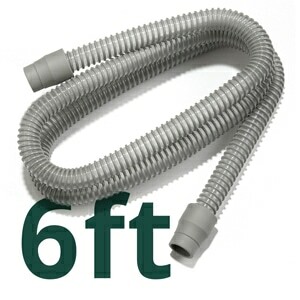 The swivel air hose allows the air hose to stay away from the face. When placed into the top Velcro strap, this minimizes pulling on the mask and helped prevented air leaks. There are two positions on the frame for the top strap. It comes in the forward position which is most comfortable for me. Almost all of the positions of sleep were comfortable including face up, right and left side and leftward face up and rightward face up positions. The only position I would not recommend is face down between the crack of two beds together (This is only comfortable with the Breeze Nasal Mask which has other drawbacks but can be worn with a custom headgear that will overcome most drawbacks - I will not go into now). The unused position of the headgear can be used for the bottom half of the Halo brand chin strap. See below. Now the drawbacks: You need to get used to putting the headgear on properly. Nose in first and hold it with one hand. Back strap next with the other hand over the back of the head. You can then attach the hose to the hose on the CPAP machine. Lastly put the tubing up to the Velcro holder at the top off the mask. Avoid going out of order. Avoid pulling on the nasal pillows. Avoid adjusting the straps until it is in place. If not, you will pull the hooks out of the nasal pillows. If this happens, you need to start over after you fix the hooks into nasal pillow channels. You must become proficient in putting it on or you will be frustrated. Getting it off is by flipping the back strap up towards the crown of the head. Second drawback: the Velcro hose guide for the top strap that holds the tubing is flimsy. It can break in use. If it does, you can use the hose guide from the Swift LT. You can also order the Velcro Tube Retainer for Swift LT which is less flimsy than the Aloha and fits it well. Use with a Halo chin strap: The top peace of the Hallo is discarded and the Velcro of the bottom piece fits well into the frame of the Aloha Mask on either side. Getting this on is tricky. It requires that you flip the bottom of the chin strap over the front of the nasal pillows. After the back strap is in place, you can pull the chin strap down over the chin and into place. DO NOT use the top of the Halo chin strap. It will put pressure on the headgear and make the nasal pillows leak or become excessively uncomfortable. This will especially occur if it is inside the headgear. Care of the nasal pillows: The nasal pillow detaches from the swivel portion of the hose, and requires finesse the first time. After you get used to it, this comes off easily. You should wash at least every other day with mild soap and no alcohol. Most liquid soaps contain alcohol. After 3 weeks I have to say this is a winner. I have had no problems at all. I love how the pillow seals. The fit is unbeatable, no doubt the best I've experienced. This one is right up there with the swift fx, probably better. Glad I was able to find what I needed and have it shipped to me in short order. Thank you! I was very surprised how well this little mask works. I ordered it based on the reviews and chatter about it and really didn't much of it when I took it out of the box, but I see now why everyone's talking about it. It has toothpick size prongs that the pillow slides on and helps hold the seal as you move around during the night. I wear this mask looser that my Swift FX and it's just as comfortable if not a little more so. It comes with ball and socket swivel and comfort velvet like wraps along with the head strap that includes a second adjustment. I'm very happy with it. I've tried several types of mask and this type seems to work best so far. This new Aloha pillow system is worth all 5 stars and than some. I usually switch between the Swift FX and the Opus and ordered this one based on all the rave reviews. The mask lives up to the reviews.